Marketing on FoxVisits advertising network is dependable, simple and cost effective. Programmatic purchasing technology supplies advertisers in a couple of clicks with most exact results. You get access to the finest, safe and unique website traffic sources in vast volumes. With a major reduction of the advertising spend up to 8x times. Direct advertisers across our Ad Exchange supply an increasing demand for quality website traffic inventory with CPC and CPM ad models that are competitive. Connect your inventory to the real-time Ad Exchange and monetize your content and website traffic on FoxVisits Ad Network. FoxVisits is an Ad exchange network where advertisers can buy quality website traffic not only from our publishers but even from our supply partners - Yahoo ADX display, AOL, Viber, AdBlade, NexAge, MGID, NativeAds, and much more. Our self-serve advertising platform is fully managed by yourself which means every desired detail and targeting of the campaign is in your hands. If you're looking to reduce costs for audience acquisition, advertise your website, business, brand or just buy website traffic it is a perfect solution to match your business objectives. We are able to reach more than 300 million unique users monthly with available channels for Native Advertising, Display Advertising, Pop, Audience and New Egaging Push-Notification Advertising Format. Distribute your content at scale! All native ads are clearly labeled branded messages that look and feel like natural content. It is a best possible way to expand your business, drive conversions and increase site engagement. All major native supply-side platforms available! 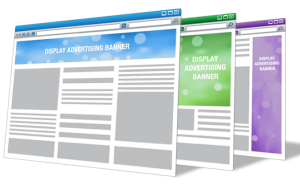 Banner ads are ones of the best advertisement strategy for your website, brand, local or global business. Reach the right audience with advantages of our display advertising and over 50 majority supply partners. 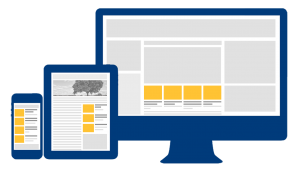 The Web and In-App inventory mean high-quality desktop and mobile display traffic with a category, audience, segments, and filters targeting available. Transparent traffic in volumes. Pop-up, pop-under, interstitial/full-screen ad formats. 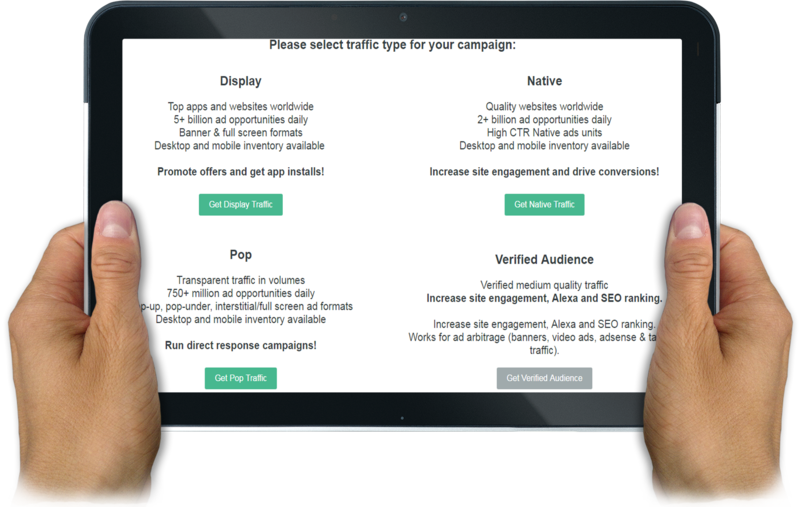 Run direct response campaigns for a channel with 750+ million ad opportunities daily! 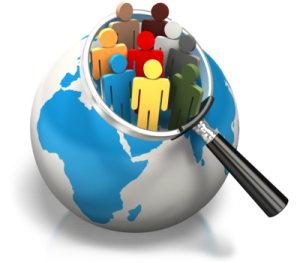 Send people to your website and collect leads! 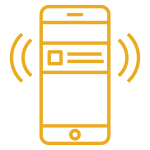 Native Push Notifications are new engaging advertising format. Reach new audiences, get more conversions! Users agree to receive notifications on websites and see your push ads. Push ad has Title, Description, and Image. When the user taps the notification, he gets redirected to your app or landing page. 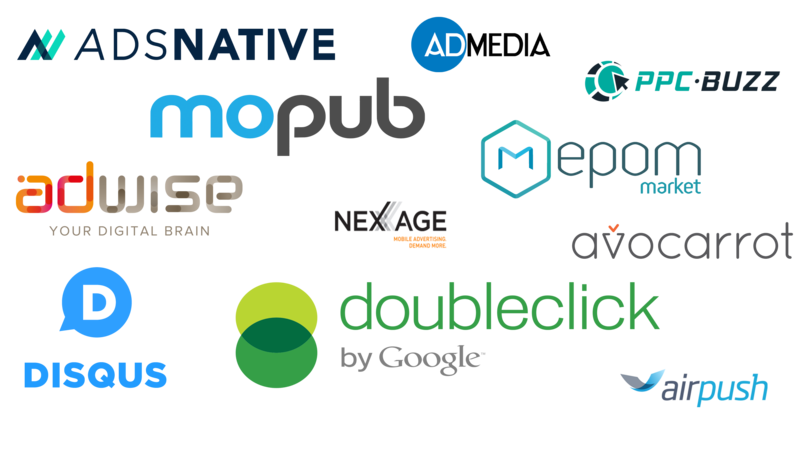 We are connected to over 70 partners - SSPs, our publishers and ad exchanges. It means reach of our platform is huge and you can be sure you will find the right audience for your purpose. Self-Serve Advertising Platform - Create and manage your own campaigns in every detail straight from your dashboard account. Use extended targeting options: Browsers, OS, Devices, Geo, SSPs (Supply Side Platforms), Publishers Sites / Apps, IP ranges Dayparts, Contextual segments, Retargeting. 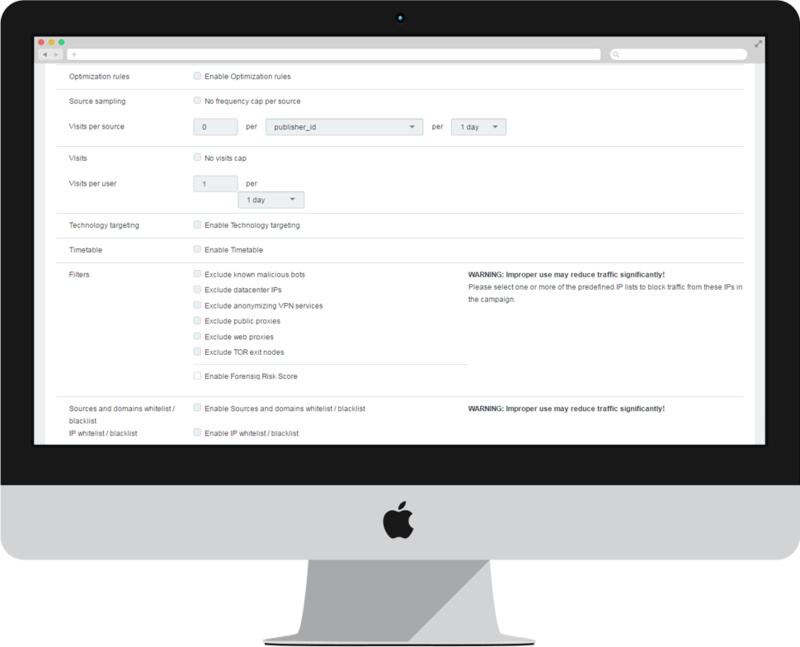 Advanced Reporting - Keep track of your campaigns and see every detail of them. Traffic Filters - Get only filtered traffic, using brand ad prevention tools plus our custom filters like blacklists of non-human IPs and website interaction behavior analysis. 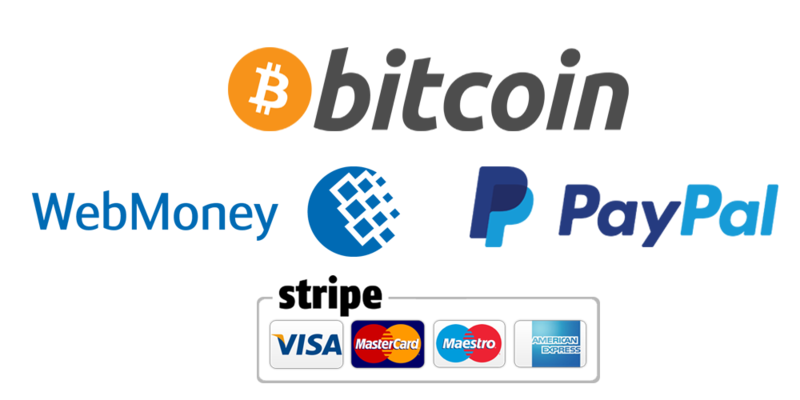 Payment systems - we work with majority payment systems like PayPal, Webmoney, Bitcoin, Stripe. Verification and safety are very important that’s why we use proprietary tools and work with world's best-known verification vendors. Our Audience Development product is compatible with ad verification technologies: Integral Ad Science, MOAT, Double Verify, Forensiq, the leading experts in traffic quality. For you, this means brand safe, fraud free inventory and high viewability. 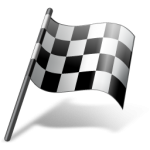 Ready to Advertise and Buy Website Traffic ? Create your first campaign and sit back!